OK, they didn’t really thumb their noses at the Bishop Vann. But, North Tustin residents did get a bit of good news at the January 13th Orange County Board of Supervisors meeting. If you ever drive on Newport Avenue north of 17th Street, you have seen the large, empty lot, owned by the Diocese of Orange, that was earmarked for a Catholic-oriented senior living facility. In past years, my family bought live Christmas trees off this lot (now, do you remember?). We previously wrote of a victory by the Foothill Communities Association to overturn a spot-zoning attempt by the county board of supervisors. That court victory quickly turned to defeat when an appeals court reversed the decision. Saying the face of the county had changed, it was necessary to address the concerns of senior citizens. Three justices on the 4th Appellate Court concurred and the hard work of the FCA legal team was undone. Interestingly, the county did not pursue the issue. It was the diocese’ management partner, Kisco, that sought the appeal. Of course, millions of dollars in expected income were at stake. All of the expense and work were futile, it seems, as the OC BoS headed by soon-to-be Chairman Todd Spitzer derailed the proposed project by moving to rescind the Senior Residential Housing Zoning designation. Supported by Supervisor Shawn Nelson, the board voted 4-0 in favor of the change. The recommendation must still go before the planning commission but Supervisors made it clear they expect the recommendation to come back in favor of FCA. I emailed Richard Nelson, spokesperson for the Foothill Communities Association, asking what the chances were the action would stand court scrutiny. He inidcated he felt it would. In any case, kudos to the North Tustin folks who saw this fight to this point. I remember seeing them protesting in front of the property as well as sending out information. Heck, before this, I didn’t even know there was an FCA. For his part, Todd Spitzer came through for the community under his governance. We like to rag on Todd (mostly because he presents such a tempting target) but he has proven loyal, both this term and his previous years on the board, to the community and the county. Now, if he would just take a lesson from his cohort Shawn Nelson on how to be lo-pro, he’d stay off the radar of the OCW and OTT. Maybe just an occasional cigar fest at the house, Todd. Todd, by the way, was last mentioned in the OCW “Best of 2014” as part of the Best Political Battle with his nemesis Susan “Dragon Lady” Kang-Schoreder over the ongoing fight for the district attorneys office when T-Rack leaves. The foothills folks are also in the middle of a nasty water fight with their current provider. Unhappy with the high cost of water provided by Golden State Water, activist residents embarked on a campaign to change water companies. Two years ago, FCA made a presentation to the community of a plan to change water providers from GSW, a private utility, to a public utility (looks like Irvine Ranch Water District is the favored candidate). Citing costs that have skyrocketed since 2003, it looks like GSW is proposing even higher rates in the not too distant future. The biggest obstacle is, of course, money. Proponents are suggesting bonds to purchase GSW assets that serve the area. From the looks of things, residents aren’t too keen on something that could actually cost them in the end. One thing that may help is the bad publicity GSW has garnered from one of their other customer communities. 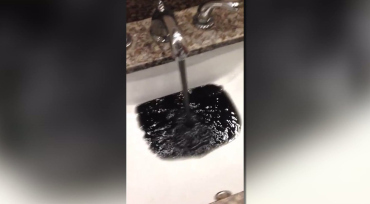 Folks in Gardena aren’t too happy with GSW as black, foul smelling water has been issuing from their taps and toilets. The results can be seen on this video. If that doesn’t compel them to find a solution, I don’t know what will. So, what else are those nefarious rebels in the foothills up to? You can find out by checking out their website, maintained by Rick Nelson, at www.fcahome.org. What Happened to Parental Responsibility? I hate it when I have to agree with any one person from the Tea Party. In this case, I have to agree with their official stand against another infringement on rights and responsibilities just for the sake of grandstanding. I first wrote of the Social Host ordinance back in 2011 when the city of Irvine City Council decided social engineering was de rigeur. While I might expect this of liberals who think that no one is capable of making a decision without government agency guidance, this piece of work actually was dreamed up by Republicans under the guise of “child safety”. saying it was good public policy. Fine, but then he decided to show up at the Irvine meeting to espouse the need for such law (and paint himself with that law & order brush for his upcoming run for OCDA). Spitzer, who should know better than to trample the rights of individuals, stood before the Irvine City Council and insulted every parent in the city by, basically telling them they are all irresponsible. And you know what? Their city council agreed as they implemented a new “Social Host Ordinance” supposedly designed to eliminate underage drinking at parties. A couple of weeks ago, he did the same thing on a grander scale. He put before the Orange County Board of Supervisors the same basic ordinance that would apply to unincorporated areas of the county. Only this time, it wasn’t so easy. At the November 5th meeting of the Board of Supervisors, Spitzer grandstanded again, initiating discussion on the Social Host Ordinance. The huge amount of opposition caused the board to take the time honored tactic of continuing the item to December in hopes the opposition would just go away. Instead, the Orange County Tea Party, a group I am usually loathe to discuss here, took up the torch and ran with it. Calling the Social Host Ordninance supporters misguided, the Tea Party sent out a call to action to the OC BoS meeting earlier this week in an attempt to rally their troops against Spitzer’s proposal. Apparently it worked, because the Board subsequently refused to pass the ordinance. “If we think we’re going to stop all these tragedies by getting further and further into people’s homes and lives, you’re not,” said Supervisor Shawn Nelson. In my article two years ago, I said that I agree in principle with supporters of the ordinance: stop or lessen underage drinking by making it a crime to furnish alcohol to minors. I also said then that there are plenty of law already on the books to do just that. It has been a crime since before I was born to sell or furnish alcohol to kids. In fact, the law is more broad than that by making it a crime to do or fail to do anything that would contribute to the delinquency of a minor. Furnishing alcohol to minors certainly falls under that. The Tea Party boys and girls, however, point out the real issue with enacting local ordinances such as this. With a state law, interpretation and discretion to enforce are maintained in a uniform manner. That means that each community must enforce the law the same way. When each community is allowed to enforce their own standard, the law can actually become obscured and confusing – what may be legal in one place is illegal in another. Local ordinances have their place in enforcing standards that are likely to affect only their own community. Issues of underage drinking, however, are of equal concern throughout the state and even the country. A uniform standard of enforcement is not only desirable, it is necessary. Spitzer, of course, doesn’t see it that way. As an opportunist, he is more concerned with making a name for himself for his upcoming run for district attorney rather than do what the BoS is actually charged with. On Tuesday, it was evident the community was disgusted with adding useless laws that will not help in enforcement of community standards and, therefore, only serve to promote Spitzer’s political agenda. Spitzer and his ordinance were sent packing by the rest of the Board, who saw this ordinance for what it actually was – or wasn’t. 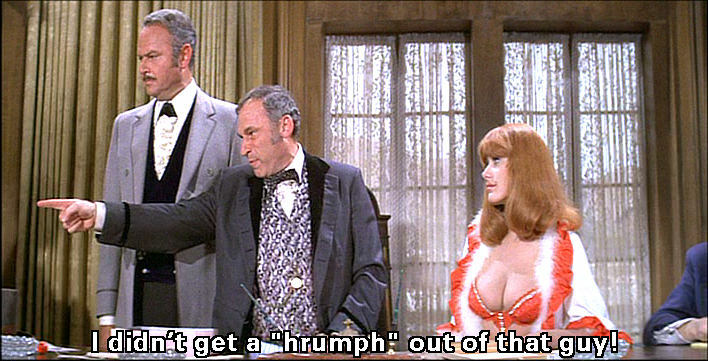 Spitzer, in our opinion, would make a pretty good DA. He would certainly do better than Tony Raukaukus, the most corrupt DA in the state. But, if he expects the vote of the conservative stitch here in the Real OC, he needs to understand that the law should be implemented with a minimalist approach designed to protect the community, not interfere with the rights and responsibilities of parents. In news from the Republic of Orange County, we found the not so surprising tidbit that OCTA has voted to refinance the 91 Express Lanes Bonds. The 91 toll roads, supposedly an award-winning design, has been a money losing operation from the beginning. Originally a private enterprise wherein mostly foreign investors bilked the state out of real estate on the center divider of the 91 freeway to build a business, that business turned out -as predicted by many- to be a deep hole to sink taxpayer money into. And, sink it they did. When California Private Transportation Company developed the toll road complex, they quietly transferred ownership back to the State of California who then leased it back to CPTC (confused yet?). CPTC then continued to operate the toll road on a for-profit basis, presumably for the next 35 years. In 2003, when CPTC couldn’t make a dime off the venture, they wisely conned the Orange County Transportation Authority to take it off their hands for a cool $207.5 million in cash and tokens (OK, I’m kidding about the tokens – everyone knows the toll road uses FastTrak). The toll roads use “congestion pricing” to set toll prices for any given hour – except it’s not, really. True congestion pricing would require real-time input on congestion to determine pricing. That wouldn’t work for the toll road, which the developers (and OCTA) knew would display a grossly underused road at any hour of the day. Instead, they use a predictive model to determine the most heavily congested hours and adjust every so often for changes. That, of course, is not exactly transparency in government. But, then, one only has to look at the Toll Road website for the inside information. Oh, wait, that paints a rosy picture that just isn’t true. And staff at OCTA know it. In May of this year, a staff report titled, “91 Express Lanes Debt Restructuring” was sent to the OCTA Board, of which our own Al Murray and Todd Spitzer belong. That report, which you can read here, outlines deep trouble with the debt structure of the toll roads and the immediate need to refinance both the 2003 and current bonds for the Toll Roads. Recommendation by staff, of course, is to refinance. Now, what I know about bonds and debt restructuring could be put on a pinhead. But, I do know how to read bond ratings (thanks, brother John) and can tell you that, when your bonds go from an original Aaa/AAA/AAA rating to A1/A/A-, you are in deep doody. This is akin to your going from an 800 credit score to a 400 credit score only, while your interest rate goes up to buy that house, the interest rate goes down on the bonds and they become difficult to sell-unless you offer artificially attractive interest. Oh, but there are laws against that sort of thing, aren’t there? Well, according to Spitzer, who sits on the OCTA Finance Committee, the rates went from 2.75% to 2.65% practically overnight. Spitzer, who in his latest newsletter to constituents is trying to paint a portrait of a rose from a picture of a sow, is clearly losing the battle on the Toll Road. Al Murray, by the way, is of the same mind as his predecessor Jerry “Boss Tweed” Amante was, that we should turn the carpool lanes on the San Diego Freeway (there, I said it) into toll roads as well. All this while not one toll road in the county can meet its ridership or its financial goals. Another Tustin Councilmember, Chuck Puckett, is a member of the Foothill/Eastern Transportation Corridor Agency and, although we haven’t checked, we are betting he is in favor (like Amante was) of the Foothill Extension that would wreak havoc on the Trestles area. What we can’t figure out is why the Republicans in this county continue to chase after the toll roads, a proven money loser for government and a bane to the public. If you have ever ridden any of the county’s toll roads, you know that -at any time of the day- they are grossly underused. None of the toll roads have been able to reach their lofty projections. Their answer to low ridership? Raise tolls, making the roads even more expensive and out of reach for the everyday commuter. The 91 Toll Roads show the best ridership of any in Orange County. But, they are still vastly underused. An old non-compete agreement threatened a widening project at one time. When the issue was settled, mostly due to the sale to OCTA, ridership fell when the widening was completed. Will connecting the 91 and the 241 Toll Roads help matters? Possibly. But, are we, as taxpayers, willing to fund another possible boondoggle to find out? We, as taxpayers, are stuck with the existing toll road boondoggle foisted upon us by a so-called conservative leadership shouting the privatization mantra. But, time and time again, we’ve seen that privatization of government enterprises creates substandard product amidst the cronyism and backroom deals. Toll roads are not the answer and it is time to tell our elected officials to get off the same broken record. We may be stuck with what we have. It doesn’t mean we should continue to propagate the species. Hot on the heels of a scathing grand jury report and the announcement of an investigation by the Fair Political Practices Commission, the FBI announced Wednesday, they have created a task force to investigate corruption here in Orange County. The earlier probe stems from management issues with CalOptima, the county’s low income health system for the poor. Earlier this year, the Grand Jury issued two reports highly critical of the Board of Supervisor’s mismanagement of the CalOptima system. Supervisor Janet Nguyen, along with others, has been accused of conflict of interest and ethical breaches. On June 18th, Supervisors lashed out at the Grand Jury, saying it was not their job to publicly embarrass the county. Supervisor John Moorlach, in one of his typical misconceptions, stated, “Your here to help us, not embarrass us nationally.” Todd Spitzer, who will eventually run for district attorney, went as far to say that their is no corruption in Orange County. The Board then moved to cut the grand jury stipend in apparent retaliation. As it turns out, the FBI formed the task force in April, about the same time as the FPPC announced its own investigation. The FBI, which has a permanent anti-corruption unit, said they typically form a task force to focus on specific issues. According to the Voice of OC report, the task force consists of agents from the FBI, the IRS and other agencies, bringing in experts in all fields. In other words, they form a task force when a small, boutique investigatory unit just won’t do. This is not the first time the county has undergone investigation by the Feds. The FBI was involved in investigations during the 1994 bankruptcy as well as the more recent witness tampering charges that brought down former OC Sheriff Mike Carona, who is serving a 6 year sentence in Colorado. That investigation revealed widespread corruption in the upper ranks of the sheriffs department. The formation of the task force highlights the ethical woes of the county. And, although it may seem the task force is pointed at the Board of Supervisors, other elected and former officials of cities and special districts would do well to watch themselves. The FBI has a tendency to cast a wide net when it is looking for information. Typically, during an investigation of this type, other deeds of mismanagement on the peripheral of the investigation are brought into the light and reviewed. Coming to mind are the charges brought by the Grand Jury last year against our own Jerry Amante, accusing him and another councilman from Laguna of misusing their official positions with their cities to interfere with Brandman University officials. Although the city of Tustin made an official response to the report, as required by law, they never actually denied the charges. Rather, they stated the Grand Jury got it all wrong and, even if there was a misuse of power, the city could hardly be held accountable for what two renegade councilmen did on their own time. The rhetoric got so bad, self-appointed and well-respected watchdog, Shirley Grindle actually fired off a letter to the Register saying the two officials owed Smoller of Brandmand University a “huge apology for their unethical behavior.” She said they should then resign in disgrace. So, while the conservative Republicans of this town continue to be incensed at the thought of their dirty laundry coming to light, it looks like the FBI has gladly set up shop in their back yard to eke out corruption. While I expect much of the work to be done in secrecy, one can expect an investigation of this size will bring out a wide variety of players in county politics. Don’t be surprised to find the fickle finger of fate pointed at a variety of folks, both public and private. Coming to mind are those behind the well funded smear campaigns against Tracy Worley-Hagen and David Waldram that brought in hidden money from local contractors we suspect do business with the city. Denial is one thing. But, our city fathers may have to prove it this time. And no amount of ranting on the dais will keep the FBI from their task.